Where can I buy bitter orange? What are the requirements before buying Bitter orange? Where can I buy bitter orange? 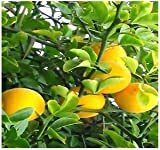 Before buying bitter orange tree need to know that there isn’t a lot of thing to do with the fruits, the taste it’s something that not everybody likes, growing requirement: full sun to half shade, frost free, well-drained soil, it’s a medium size tree 4-9 m.